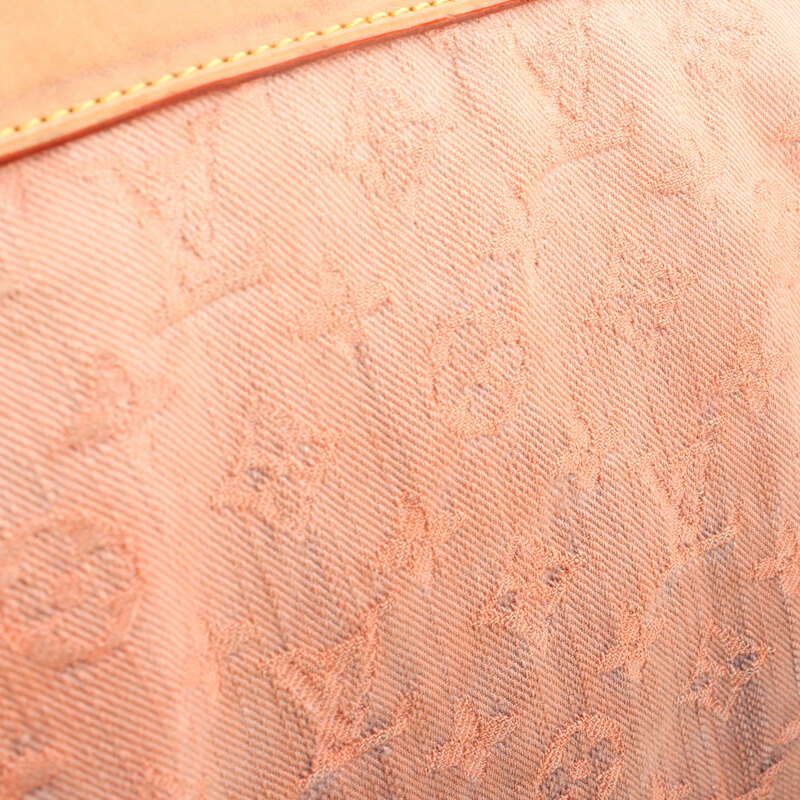 The Denim Sunrise was a trendy style and today comes back with all this power to be a temptation for all the LV lovers. As a plus, it is accompanied by a stunning foxtail and a set of leather tassels. 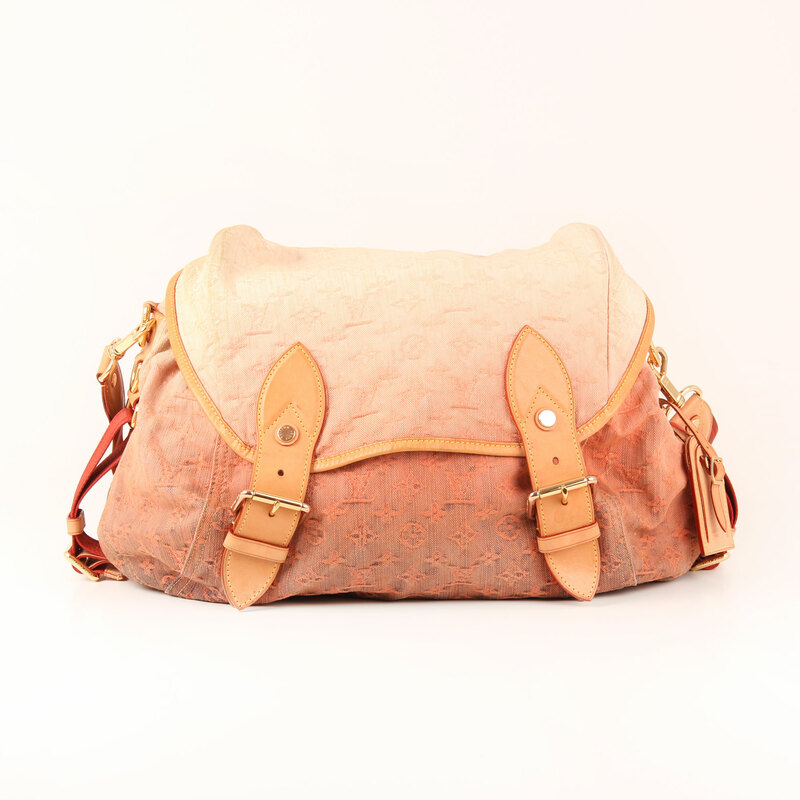 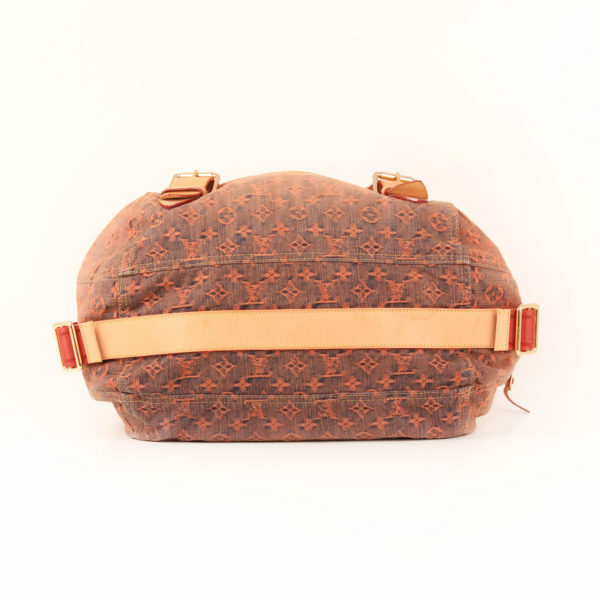 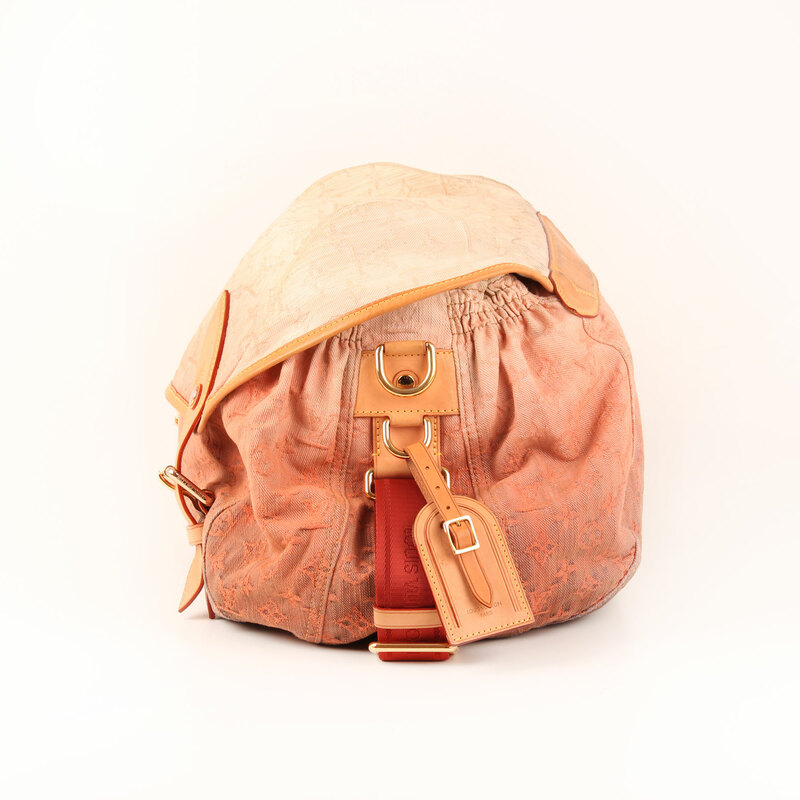 This bag was one of the most popular styles during the Spring Summer 2010 collection at the Paris Fashion Week. 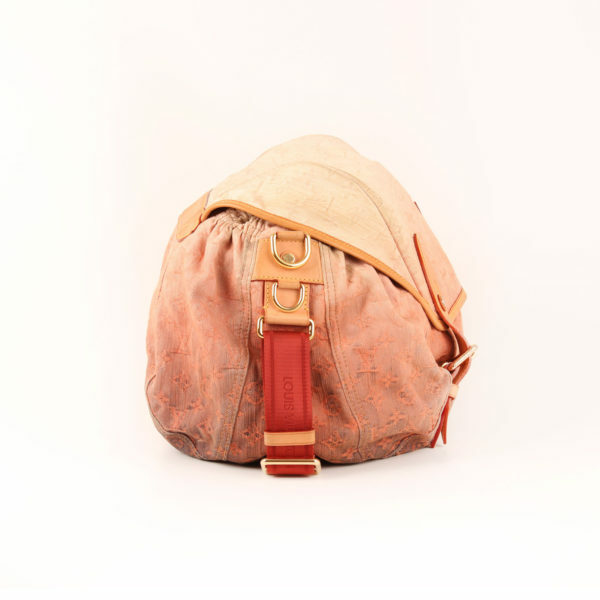 The Monogram Denim Sunrise features a orange ombre color being a such a perfect urban style as you can wear it comfortably thanks to its wide nylon strap. 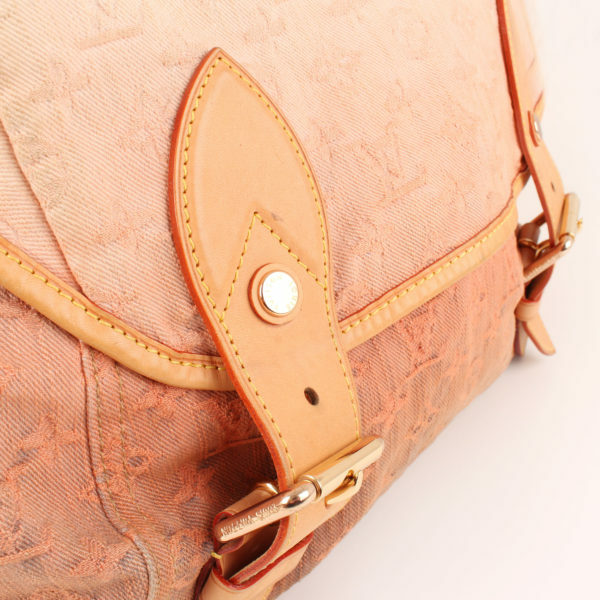 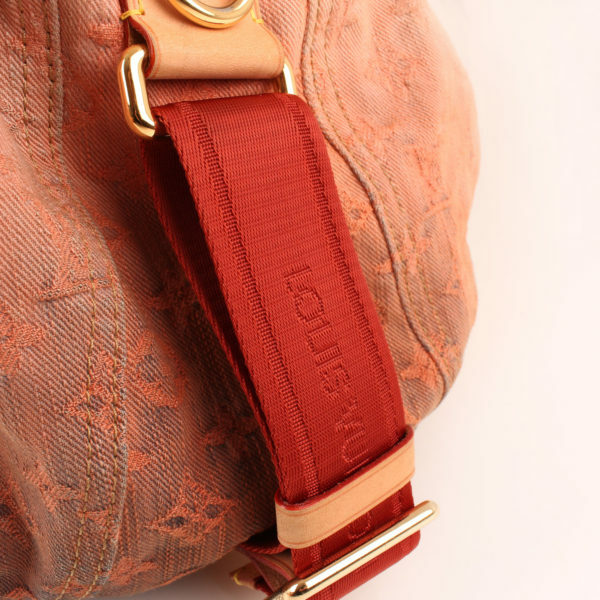 Louis Vuitton launched this bag in three versions, all in neon and strong color being a really different style. The main details in this bag are its charms. 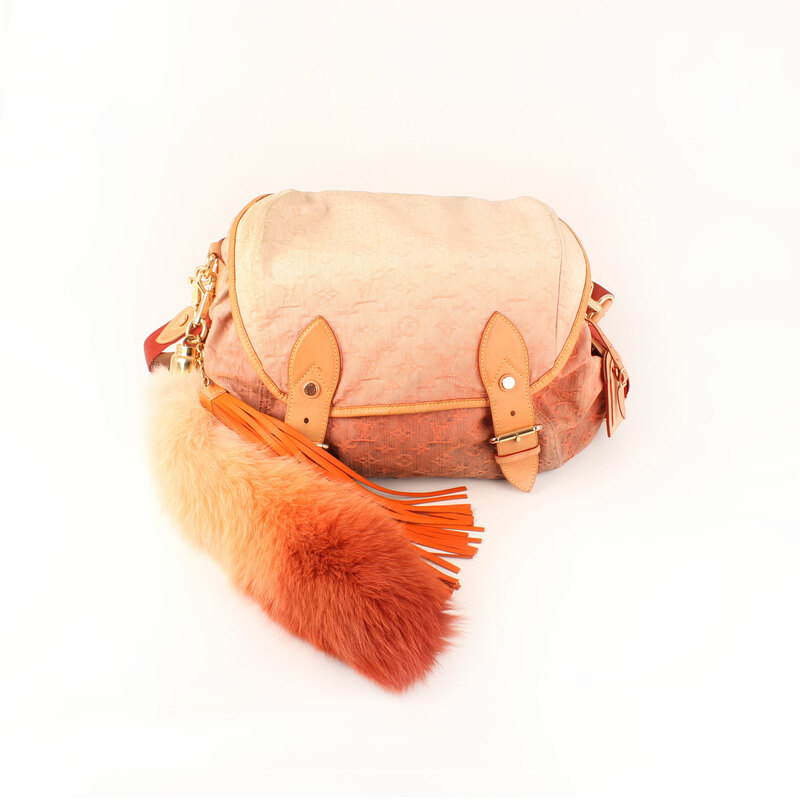 A stunning orange fox fur tail and a group of leather tassels in the same tone of intense orange. 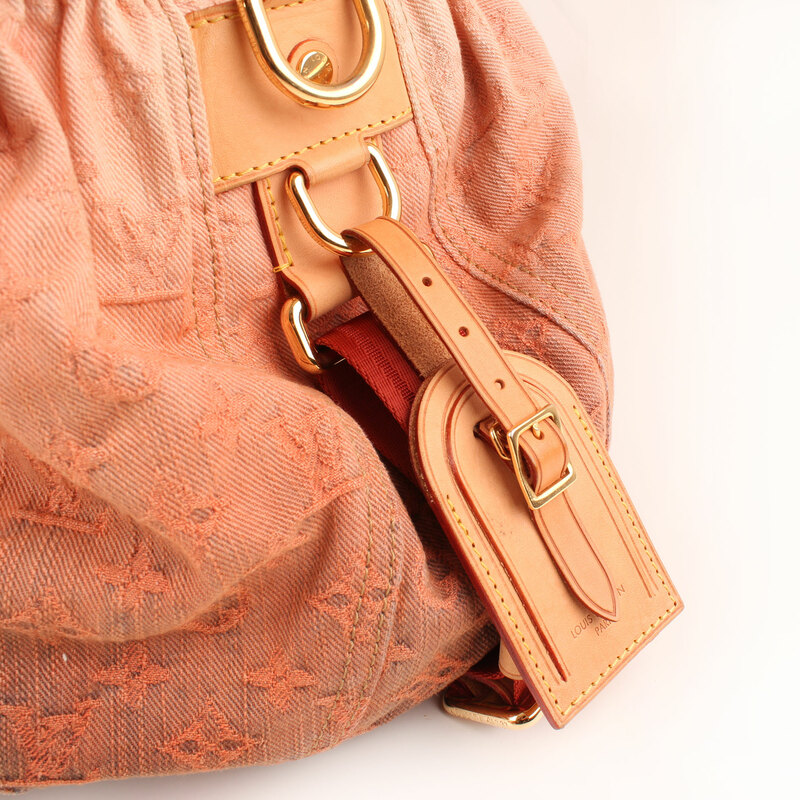 These were accessories really difficult to get at that moment and they were designed to wear combined with this specific bag. The Denim Sunrise has a double leather and adjustable closure straps on the main flap. 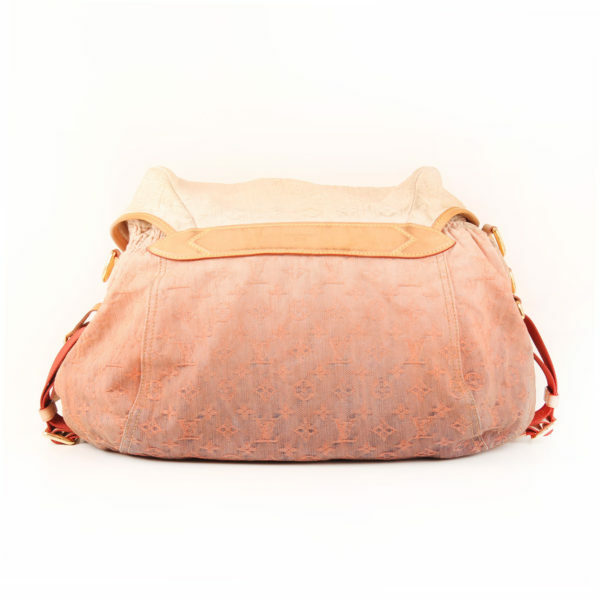 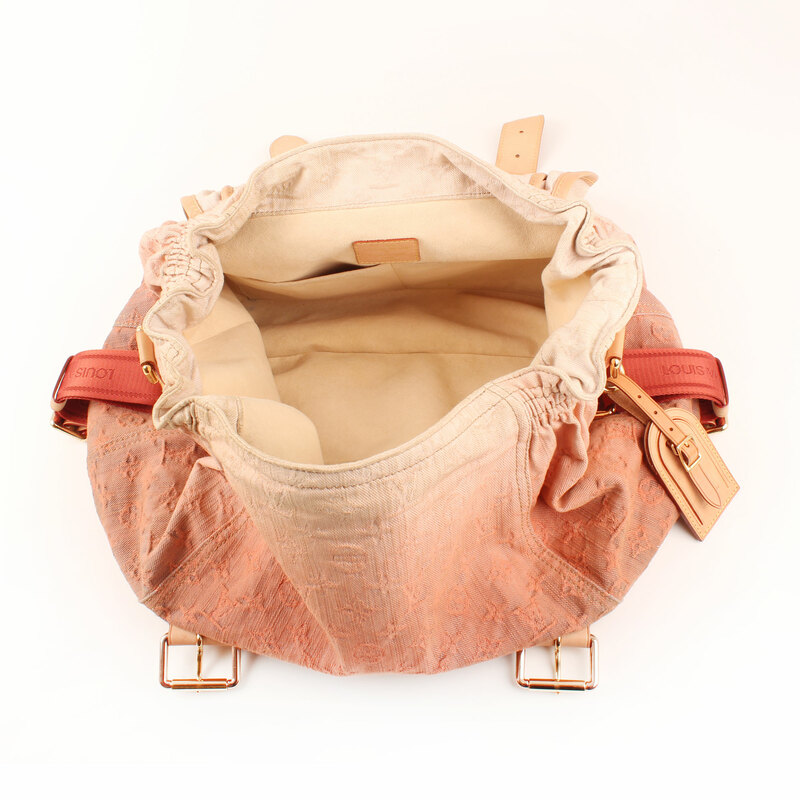 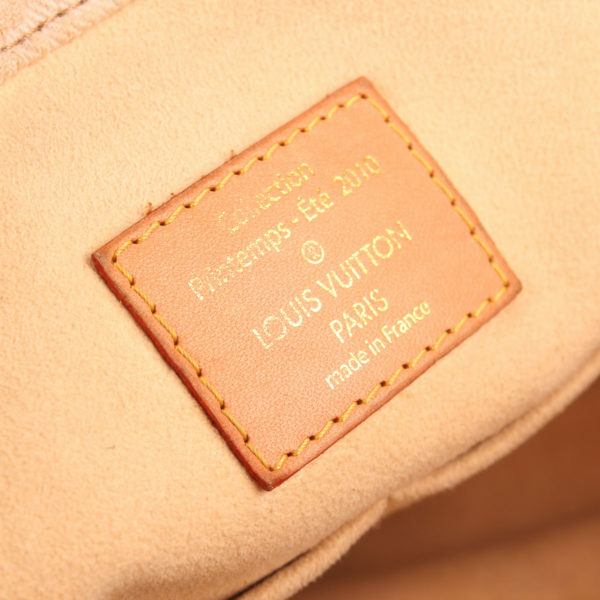 Inside is lined with a soft beige microfiber and it is spacious and comfortable. Hands-free style to get a really funky look.